Welcome to Camping Garden Tourist Manerba del Garda. Camping Garden Tourist is a small camping situated in a green oasis, located in the beautiful Romantica Gulf, only 50 mt. far from Garda Lake. It has swimming pool and nice apartments that can be occupied from 2 to 7 people, bungalows and caravans completely equipped. The interiors of the apartments are furnished in a simple but very functional, bright and furnished with warm colors, are equipped with every comfort to cheer with your holiday on Lake Garda. The apartments for 2 - 4 Persons are in this size: 1 bedroom with double bed, 1 bath with shower, living room with kitchen and sofa-bed for 2 person, 2 terrace. The apartments for 5- 7 Persons are in this size: 1 bedroom with double bed, 1 bedroom with 3 beds, 1 bath with shower, living room with kitchen and sofàbed for 2 Person, 2 terrace.Our Camping Garden Tourist offers his guests peace and relax in a familiar atmosphere; close to the camping: restaurants, pizzerias and supermarket. 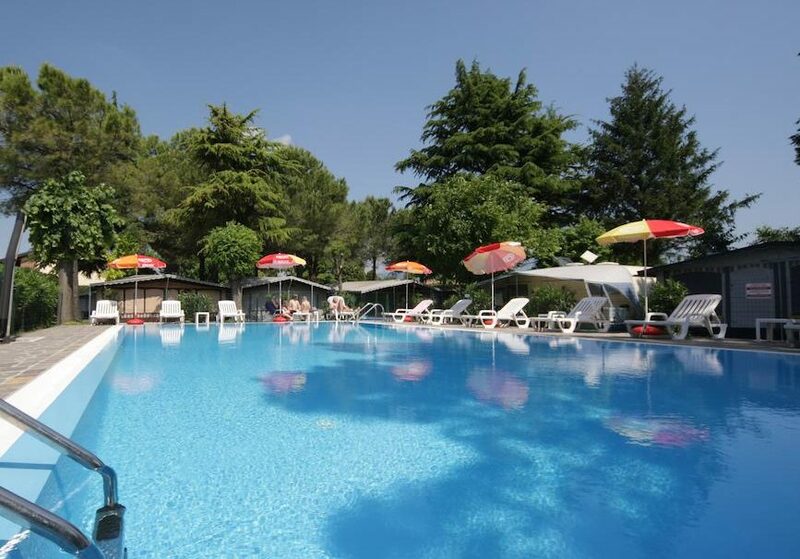 (Camping Garden Tourist Manerba del Garda campings).